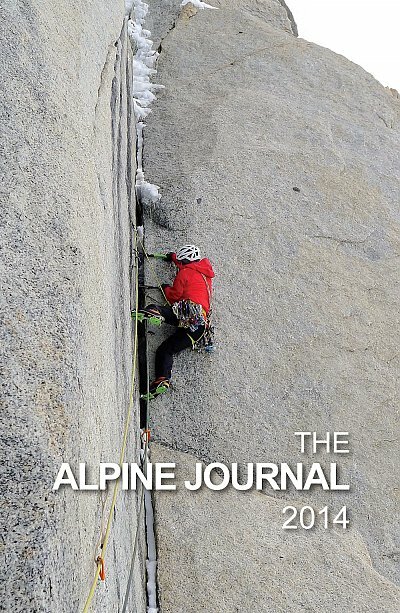 The Alpine Journal is the oldest publication of its kind, this year celebrating its 151st anniversary. It was created as a record of mountain exploration and has maintained that tradition. This edition, Volume 118, contains accounts of rock climbing, mountaineering and exploration in the high and wild places across the continents from the Antarctic to Canada, Europe to High Asia. The remit of the Journal is broader than just climbing action, with in-depth articles on mountain science, politics, environment, art and history. So augmenting the astonishing tales of adventure by the likes of Leo Houlding and Alastair Lee in Antarctica and records of Alpine Club members' ground-breaking achievements worldwide, we have stunning paintings by mountain artist Tim Pollard, a history of filming in the harshest of environments by John Cleare and a fascinating explanation of the recent geological history of the Himalaya and Tibet from eminent geologist Mike Searle. An essential element of the Alpine Journal has always been the record of achievements in the high mountains and the Area Notes section is, as usual, packed with vital information for the mountaineer. This year Simon Richardson has provided an extensive report on two remarkable winter seasons' worth of first ascents by the country's top activists. Climbing's unrivalled literature is catered for in an extensive book review section. This year's editor is Bernard Newman, a graduate geologist who was assimilated into climbing publishing in the early 1970s, was editor of Mountain magazine in the 80s and Climber magazine for nearly a decade from 1998. He co-authored Extreme Rock with Ken Wilson and a guidebook to 20 Day Walks in The Yorkshire Dales for Vertebrate Publishing in 2010.